Are you going for your weekly grocery shopping? 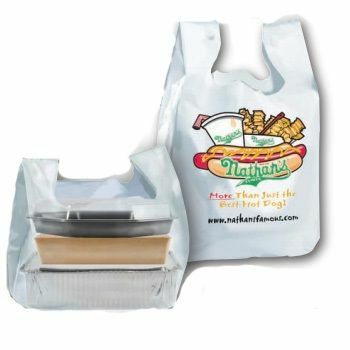 You need something as spacious as the new Custom Printed Supermarket T-Shirt Bags to keep your groceries safely in one place. If you want to leave a long lasting, solid impression on your customers then give them something worth remembering you for. 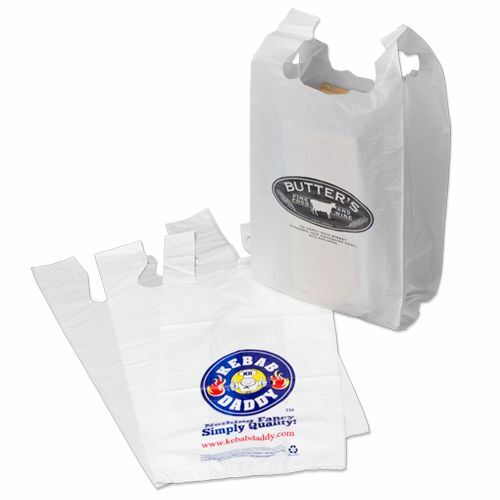 With the new Custom Printer Supermarket T-Shirt Bags, you can not only boast you business expertise on the front of the bag but, you can also give them something to be grateful for, owed to the bag's vast inner roominess. 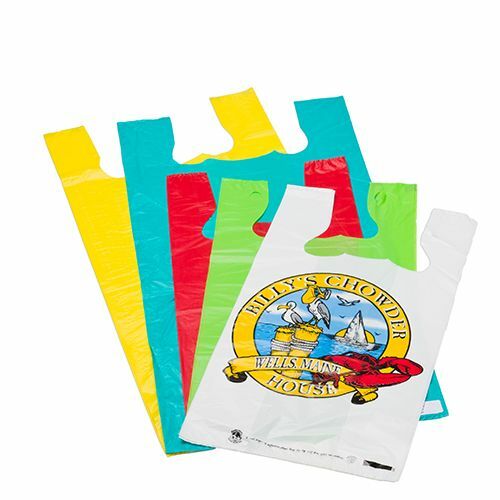 With a charming artistic appeal, these bags are sturdy enough to carefully carry your groceries without damaging the contents.